These two photographs show a creosote storage tank and a trench silo. 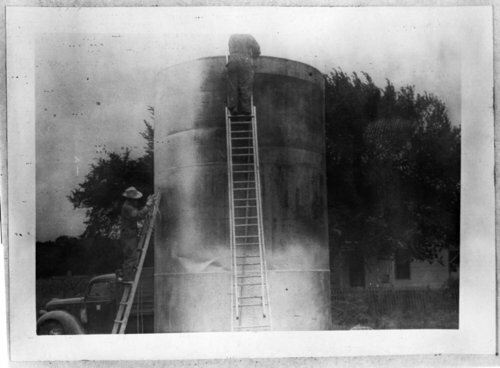 The storage tank was owned by the U. S. government and was used for chinch bug control. The capacity of this tank was approximately 12,000 gallons. The trench silo housed an abundance of feed in the fall of 1944. These photographs came from the Chase County Extension Office annual reports.